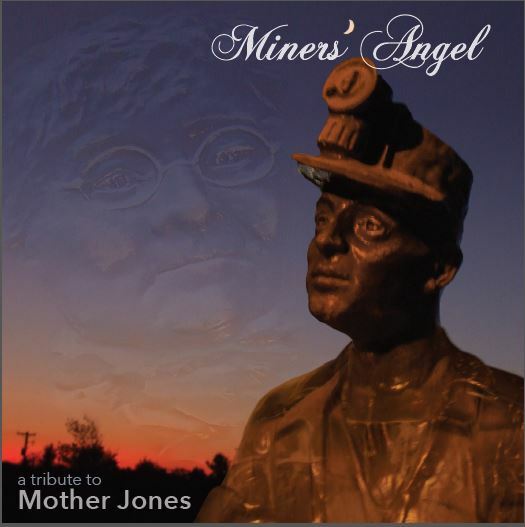 The Miners’ Angel CD, a tribute to Mother Jones has been launched recently. Featuring some 35 songs with a connection to Mother Jones and the struggle of miners, some exclusive to the collection, it comes highly recommended. Gretchen Peters, Kathy Moffatt, Si Kahn, Utah Phillips, Billy Bragg, Nimrod Workman and Andy Irvine are among those who are included in this outstanding compilation. The executive producers of the compilation CD are Ed Becker and John Yuelkenbeck. There is also an unique introduction by Rosemary Feurer of the Mother Jones Heritage Project, (www.motherjonesmuseum.com) regarding the contribution of Mother Jones to the Labour movement and the fight for justice. Rosemary, a regular visitor and contributor to the Spirit of Mother Jones Festival, writes with passion and rare insight about the story of Mother Jones, which in many ways is the international story of labour. The proceeds from the sale of this essential CD go to preserve the Mother Jones Monument at Mount Olive in Illinois “and ensure that a new generation will know the stories and keep the spirit-thread of history alive”.